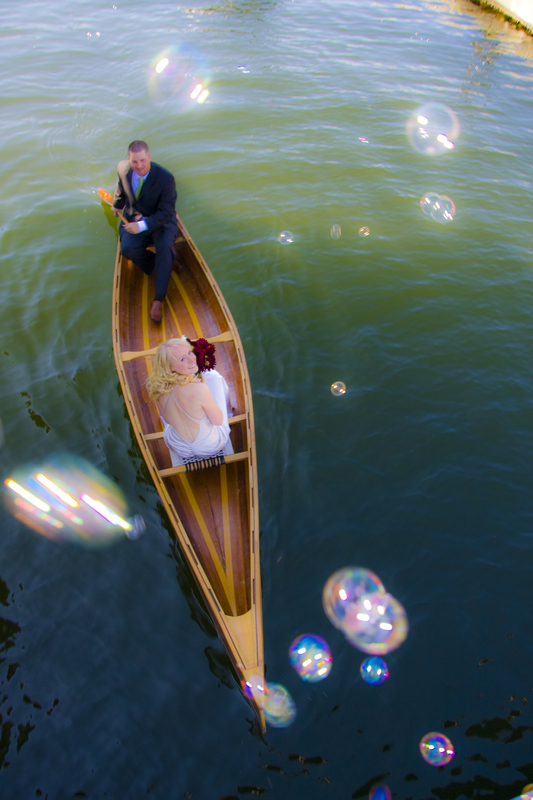 Wedding Photography: Are you looking for a photographer in Victoria, BC? I am pleased to offer free engagement sessions with any full day wedding package. Please contact me for details. What do you offer as a professional photographer living in Greater Victoria? As a professional I am an experienced destination wedding photographer based out of Victoria BC on the gorgeous southern coast of Vancouver Island. Over the last 8 years I have travelled the world photographing weddings in a variety of places including the west coast of Canada, United States, Mexico and Cuba. Having photographed well over 120 weddings as a professional I feel that I have the experience, creativity and easy going personality to deal with any challenging situation be it inclement weather, people or cirumstances. I would not consider myself a pretentious or uptight wedding photographer as I love to play and have fun with all of my clients. I possess an abundance of creative energy that I am able to share with my clients allows them to be totally relaxed and comfortable thereby creating the potential for fantastic images of their wedding day. As an experienced professional in the field of wedding photography; I use professional equipment, which means I work with three cameras and a variety lenses. Thus, I can create a portfolio of images of your wedding day ranging from from stunning wide-angle scenic photos to emotion-capturing images shot discretely from a distance with my telephoto lenses. To create fantastic images in tough lighting situations I also use external flashes that can be used off camera and strategically place for optimal lighting. My photographic style is a mix of photojournalism, creative fine art, fashion-inspired and semi-posed or what I call prompted portraits. I believe in using every style and even creating some new ones to provide my clients with the most modern, original and creative photos. Images that portray their real personalities. I look to record the story of their day, capturing interesting emotions especially joy and happiness– the kind that causes the couple to tear up in the during the ceremony, or break out in beaming smiles during the reception. I aim to create interesting compositions, colours, great light, and beauty. I especially like to tie in and highlight the beauty of the nature that surrounds us here on the west coast. What makes you different from other wedding photographers in the Victoria, BC? One of my strongest traits that sets me apart from my competitors is my creativity. I have been blessed with the ability to quickly see the potential for new and creative images. I also have the belief in my self to allow for experimentation that leads to interesting, beautiful and classic vintage photos. As well, I work exclusively as a photographer without having to have another job to support myself. This means that I am not distracted by other responsibilities. I can focus my time and energy on my craft creating those amazing images that my clients come to me for. How do I choose a photographer for my wedding? When choosing a photographer to cover your wedding in the Victoria BC, you have a lot of great choices. Every photographer will have her or his own creative style and unique offerings. Your decision should come down to the photographer whose work appeals to you most and whose personality you feel relaxed and comfortable with. I believe your photographer should be a friend, someone that you feel so comfortable with you that your real personality can shine. If you are not comfortable or relaxed with your photographer then your photos may show your tension and discomfort. When you are comfortable the true fun and fabulous moments that you have will be caught so spectularly that you will be amazed over and over. How do we see our photos after the wedding? Within 10 days I provide you with an online viewing gallery that’s linked to a professional photo lab. That means your friends and family can order prints directly without needing to ask you or me for images or permission. All of the images created for you will be retouched to perfection by myself using Photoshop. Please view our online wedding photography gallery to see more of my work. How much are your wedding photography packages for Victoria, BC? Please contact me for a detailed wedding package price list for our photography packages. Normal delivery time for your DVD’s 4-5 weeks of your wedding date or sooner. To ensure every image I provide you is perfect, my post-production (photoshop) generally requires about 20-30 hours of work. Albums can take an additional 10-20 hours, plus consultation time. What locations do you serve around Victoria? I am located in the gorgeous capital city of Victoria, BC. Locally, I serve all the smaller communities and town around Victoria including Langford, Metchosin, Sooke, Jordan River, Port Renfrew, Sidney, and the Malahat. As well I frequently photograph weddings in Duncan, Shawnigan Lake, Nanaimo, Port Alberni, Tofino, Parksville, Ladysmith, Comox, Campbell River, Port Hardy, Courtenay and the Gulf Islands of Thetis, Saturna, Saltspring, Pender, Gabriola and Bowen Island) and the lower mainland (including Vancouver, Whistler, Surrey, Burnaby, Langley, Abbotsford, Richmond, Chilliwack and Hope). I also provide destination wedding photography services in Spanish–speaking countries, specializing in Cuba, Mexico & the Caribbean. PLease feel free to visit my Cuban wedding photography website. I rarely charge travel fees with full packages. I may need to charge a small fee if your wedding is on a Gulf Island. Where can I find pricing on your wedding photography packages? See the information on my wedding packages page. Please contact me for a custom-tailored quotation just for you. Do you take VISA? How do I pay? I currently accept PayPal which will process VISA or Mastercard. Please use my email address, info@devincard.com to send payments to me via PayPal. You can also pay by cheque, cash, money order, wire transfer or direct deposit at any Coast Capital Savings bank. I will send the necessary information when we have confirmed all the necessary details and are ready to proceed with reserving your wedding day. Are you digital, or do you use film? I shoot with the latest state-of-the-art digital cameras and flash units. I retouch all images to provide you with breathtaking memories. Do you supply digital negatives? I supply full size digital negatives for all the images in colour and B&W. This gives my clients the freedom to share and print their images according to their needs. Is it possible to have black-and-white wedding photos? I provide you with all your images in both colour and black-and-white photography at no additional charge. How many prints will I receive with my wedding photography package? Do you put logos on the prints? I provide beautiful 4×6 unmarked prints with no logos. The number of proofs/prints will depend on the coverage you request, but I always provide you with the best pictures of the day so you have an idea of how your wedding photos will print. Who pays for shipping, and how is my package shipped? I charge a small fee for shipping packages to couples outside British Columbia. All packages are sent via Canada Post. When will I receive my wedding photography proofs and digital images? All wedding photography proofs are sent to the bride and groom’s / wedding couple’s address within five weeks of the wedding date. They often are sent before five weeks. What do you do if it rains on our wedding day? Rain showers are a reality in every part of the world. I am prepared to shoot indoors if need be. Alternatively we can create some fun shots with umbrellas or parasols if you choose to bring them. With great location photography options in and around Vancouver Island, mainland British Columbia, and Cuba, it is easy to sneak inside to skip a rain shower. How much time should I plan to spend on wedding photography when I am planning my wedding in Victoria? You will need 30 minutes to 1.5 hours. I recommend having your hair and makeup done at least 1.5 hours before your ceremony. I can then spend some quality time photographing you putting on your dress and veil, sharing a nice champagne toast with your bridesmaids and parents and having some intimate portraits with the girls before the big event occurs. The ceremony runs about 30-45 minutes with family photos directly afterward. Family portraits can take between 20 and 60 minutes. It takes between 2 to 5 minutes per grouping. I recommend bringing your family to no more than one location because I find family members can get bored and distracted if they’re kept too long. I give the same advice for wedding party portraits: It can take between 30 and 60 minutes depending on the size of the party and I recommend taking the wedding party to no more than one location. They can get bored and restless waiting for us to do the fun and creative portraits of the two of you. I recommend planning at least one special location away from other guests and distractions for 1.5 to 3 hours during your wedding day. This allows me enough time to give you a variety of fun and creative images that will tell a beautiful story of the love and enjoyment of life you share. I am usually asked to stay until the first dance; however, some of my packages include enough hours to allow me to photography the bouquet and garter toss and some of the dancing afterwards. Should I make a list of my desired wedding photography photos? I request a list of family combinations and specific bride and groom shots to ensure I get all the shots you want. In the past, some clients have cut out photos from magazines to show me the wedding photography that they like the best. I also am happy to receive links by email. This is a great way to share your vision of the style of photographs that inspire you. D you have an photo galleries where we can view your work on the internet? Yes, I do have online wedding galleries. Please visit more photos under the wedding photography section of my website. Yes, I offer the option of creating a photo storybook from Asuka. It is a coffee-table book printed with flush photos. Do you require a meal if we book you for the reception? It is recommended that the couple provide a meal. People generally do not like to be photographed while they are eating, so I take a break during the actual dinner. How do I reserve my wedding date with Devin Card? Please contact me for a no-pressure consultation. I have a standard contract that I ask all couples to sign to book the date. As well, I will need a 50% reservation deposit.